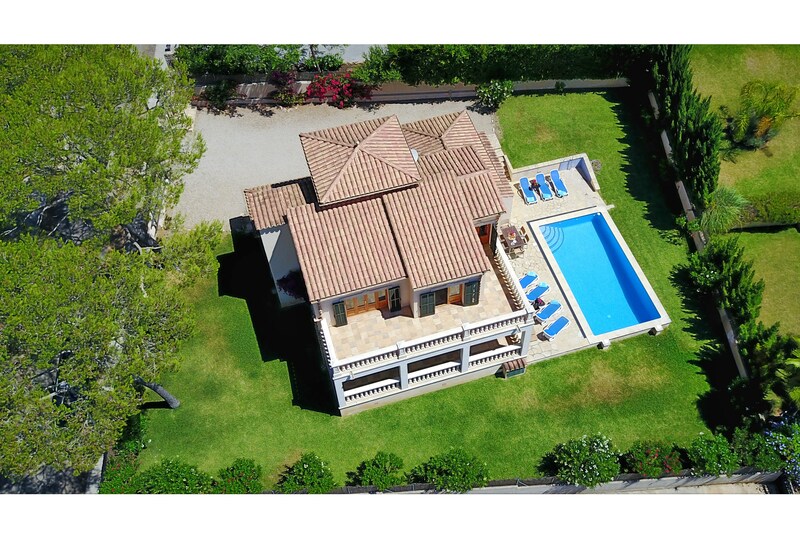 4 Bedroom, 3 Bathroom Villa with Mountain View and a Private Swimming Pool , Air Conditioning, near Golf, Sleeps a maximum of 8 people. 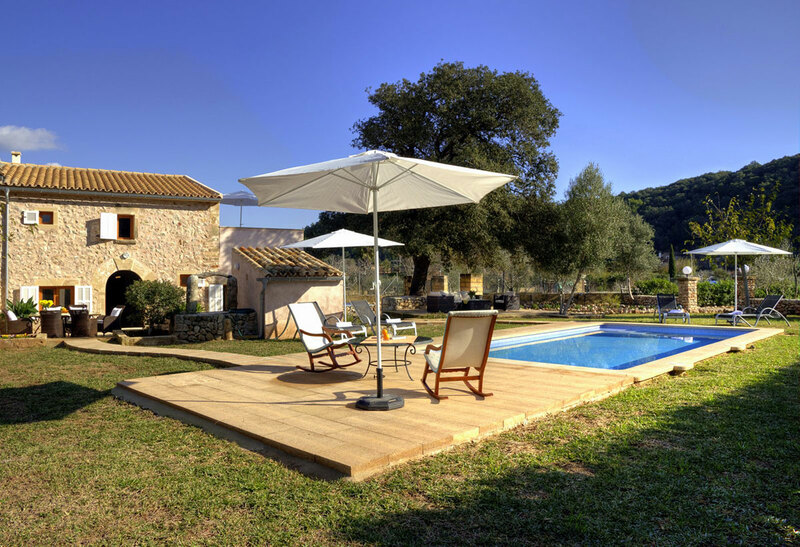 Villa Ginesta is the perfect villa for families and large groups looking for some R&R whilst being a short distance from northern Mallorca`s bustling towns. 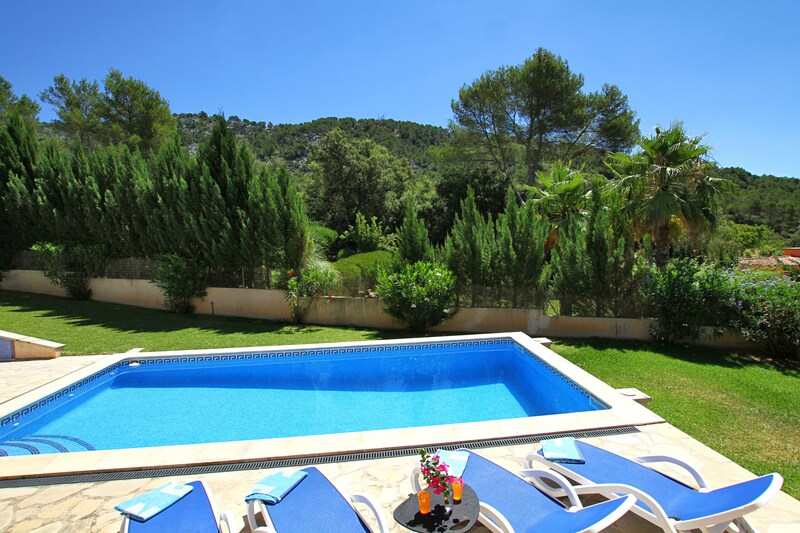 This 4 bedroom villa is located in the quiet residential area of Son Toni, located between Pollensa and Sa Pobla amongst tall pines and rolling hills. 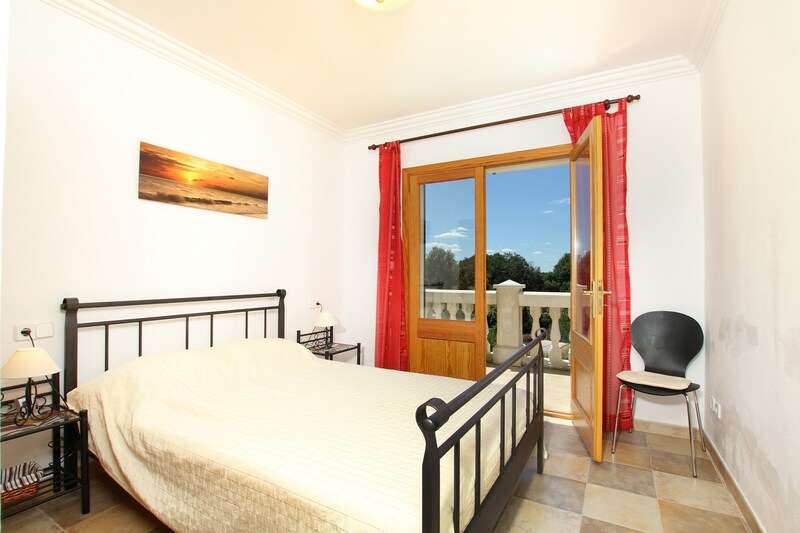 Entering through the front door, to your left are the stairs up to three of the bedrooms, to your right is the fourth, cosy double bedroom, as well as a small bathroom with standing shower. 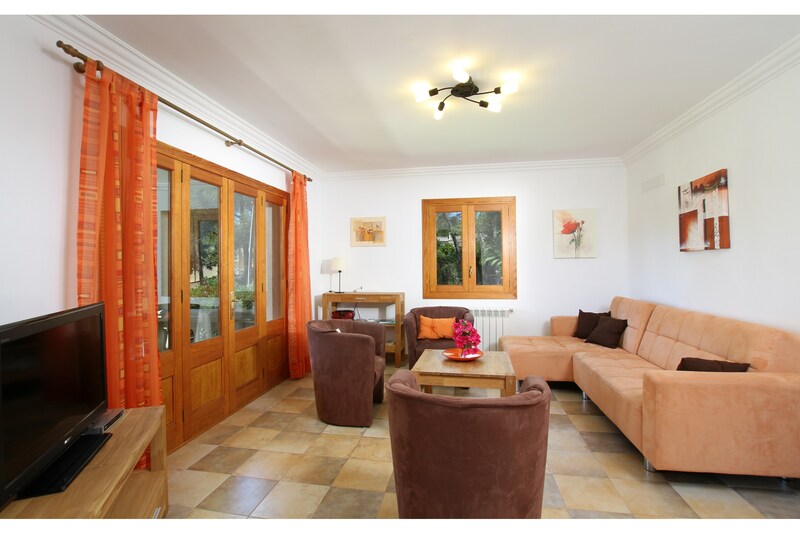 Head straight ahead and you`ll find the cosy living room - there`s a large L-shaped sofa and cool arm chairs set around a coffee table, as well as a flatscreen TV. 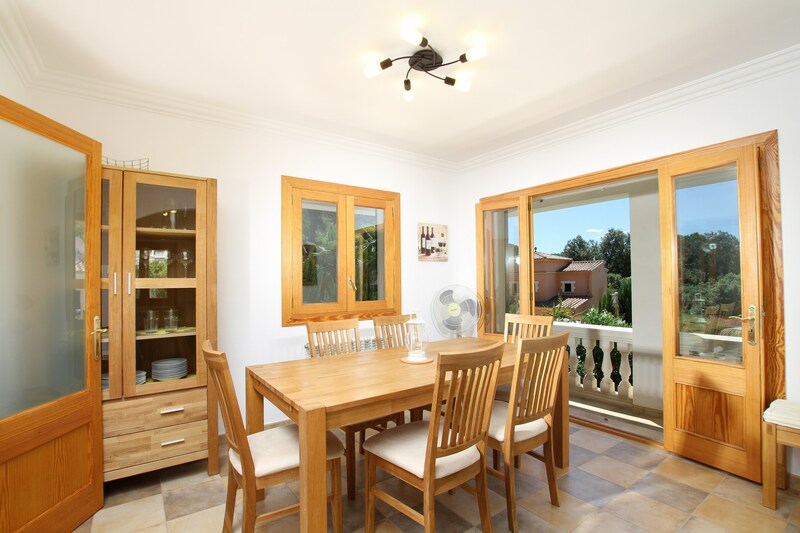 To your left is the dining room which is attached to the kitchen - both the dining and living room have large french doors which open up onto a covered terrace and allow plenty of light as well as a cool breeze into the villa. 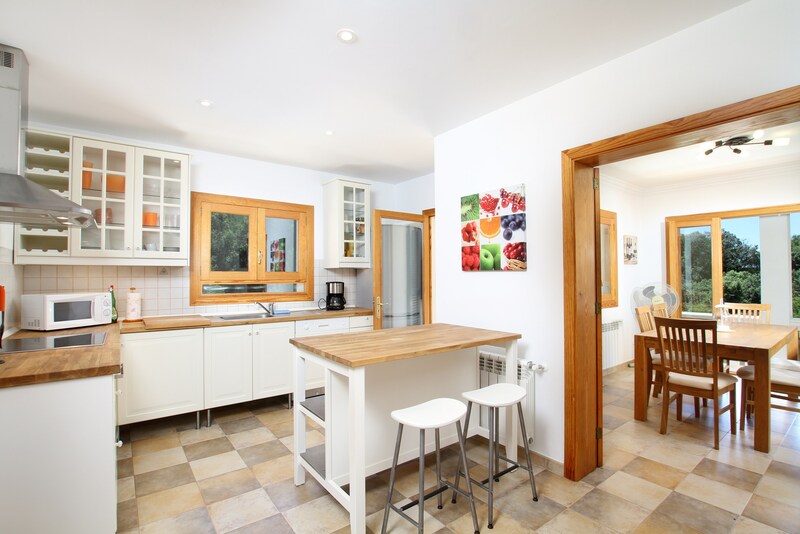 Villa Ginesta`s kitchen is fully equipped to tackle whatever you bring back from the local markets in Pollensa (Sunday mornings) and Sa Pobla (also on Sunday mornings). 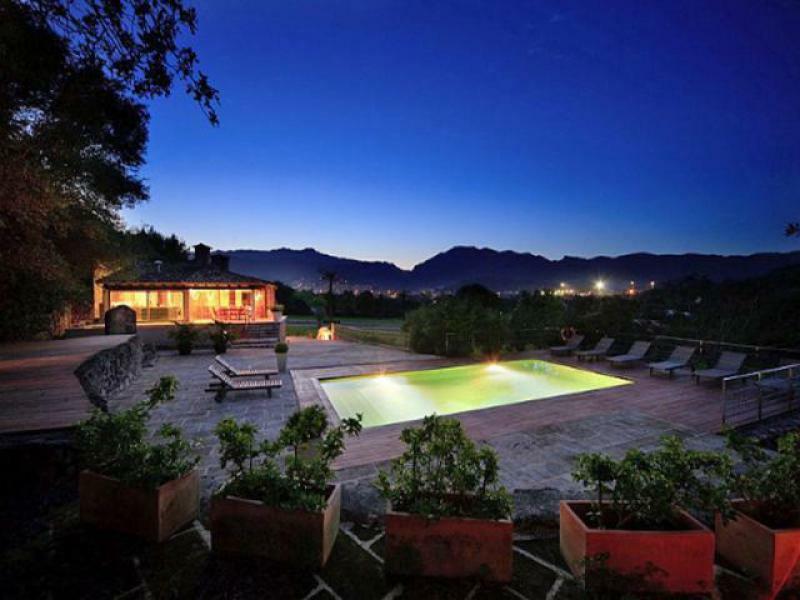 Toaster, grill, dishwasher... it comes with all the mod cons you`ll be needing and there`s even a breakfast bar. 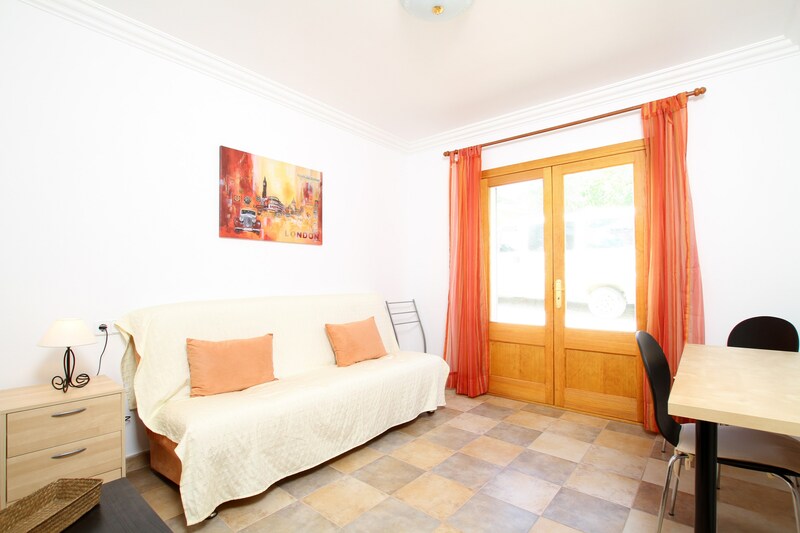 Head upstairs and you`ll find three double bedrooms - two (to the left of the stairs) share a large bathroom across the hall with double vanities and a large shower, whilst the master suite (on the right) has an en suite with a bathtub. 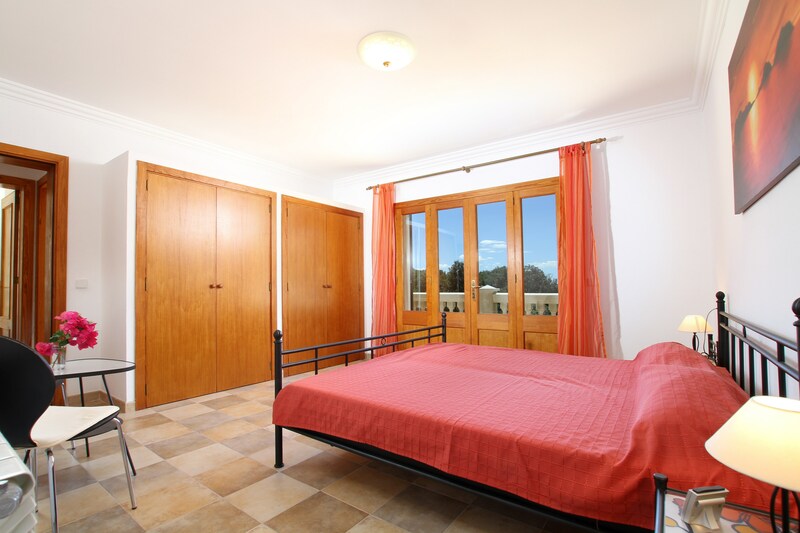 All bedrooms have access to balconies around the perimeter of the house as well as wardrobe space and air conditioning. 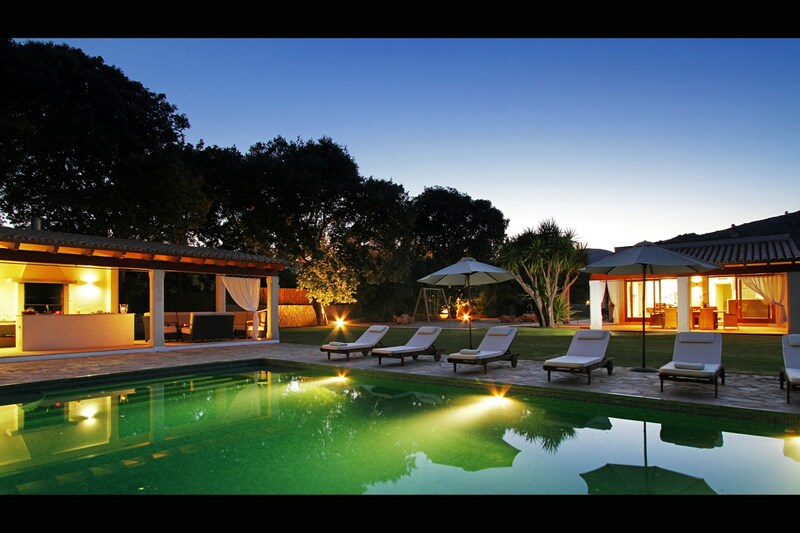 Outdoors Villa Ginesta has the aforementioned south-facing covered terrace stretching from the living room all the way round to the kitchen - steps lead down to the pool area where the large blue pool takes centre stage. 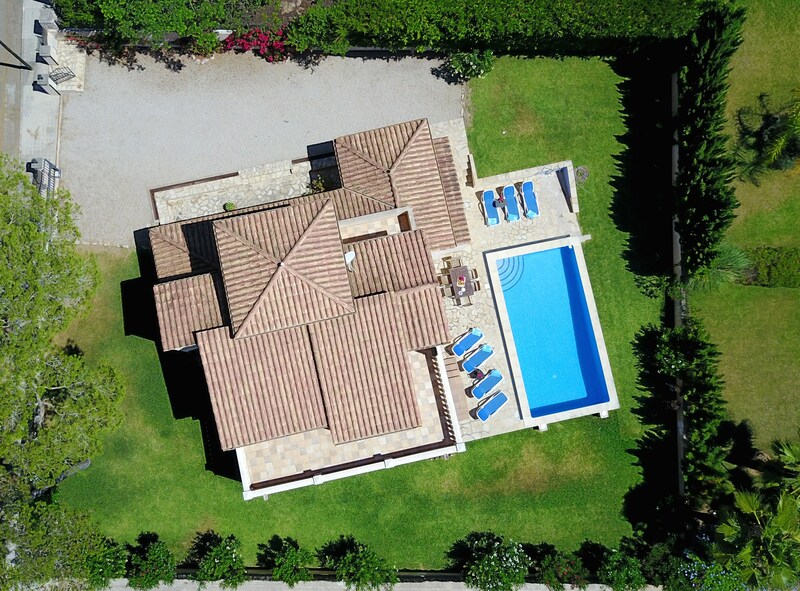 Furthermore there is a lawn surrounding the villa which is great for child`s play, and outdoor dining furniture, sun beds, a parasol and the all important barbecue are all present. 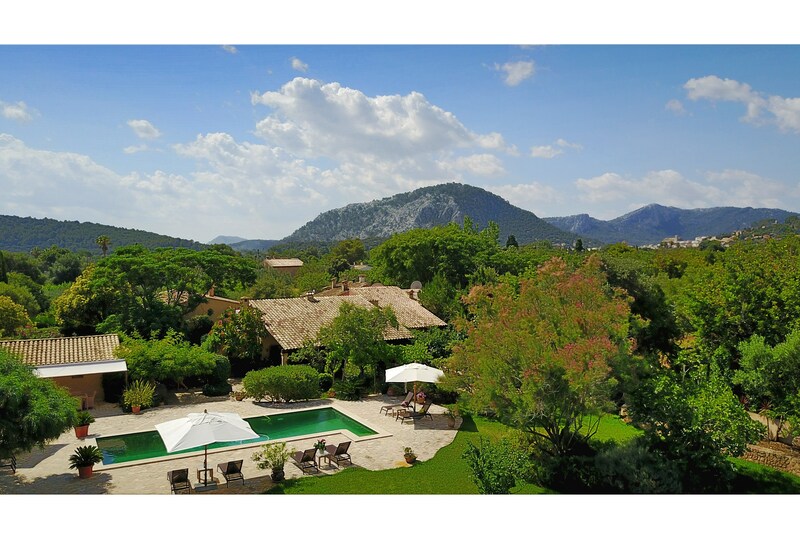 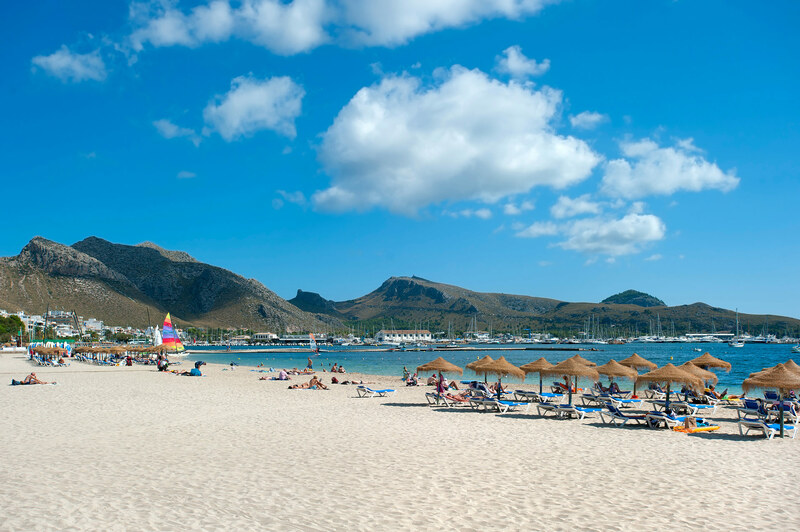 Pollensa is just a 10 minute drive from the villa, and so is Sa Pobla. 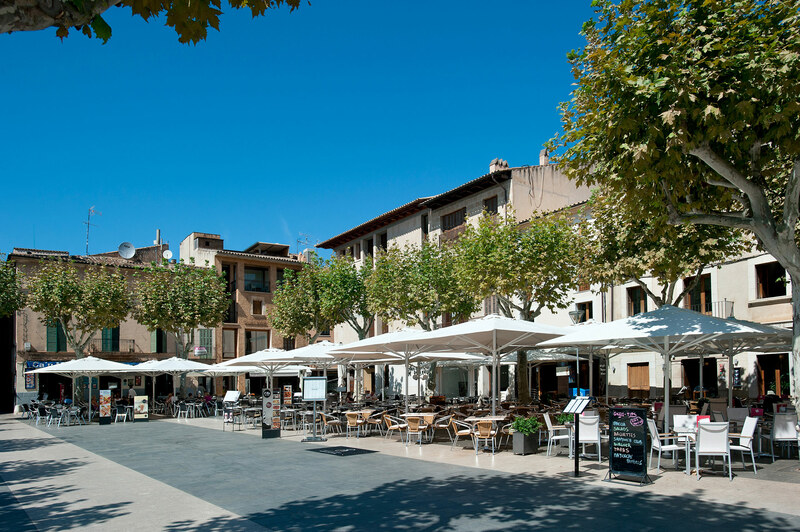 The former offers a great selection of restaurants and bars in it`s historic centre and is well worth the visit, whilst Sa Pobla is a gem in the rough waiting to be discovered, full of more traditional, Spanish bars and locales. 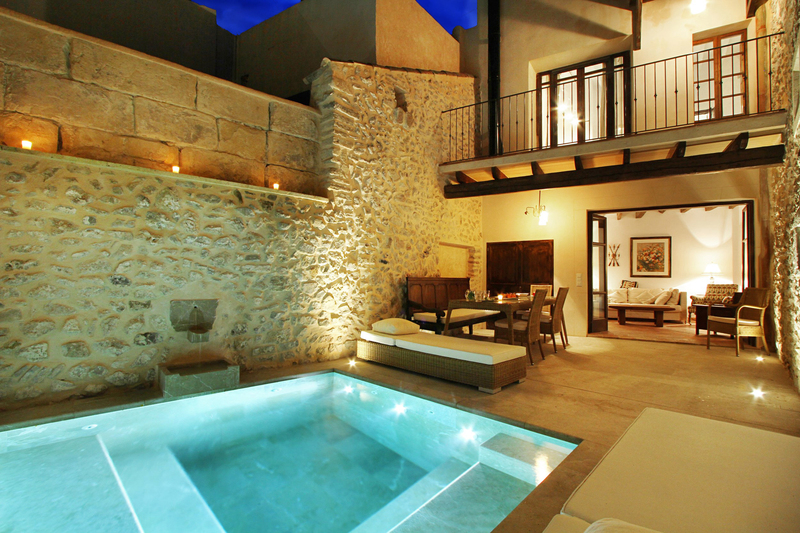 Palma is about a 30 minutes drive away, and Inca only 15 minutes.